The Folio Society was founded in 1947 'to produce editions of the world's great literature, in a format worthy of the contents, at a price within the reach of everyman'. Half a century, and over a thousand books later, the name Folio has become synonymous with affordable fine editions â€” books chosen for their enduring worth, handsomely designed, illustrated and bound, which reflect not just the traditional skills of the book-maker's art but also the tremendous possibilities opened up by new technology. "Folio 50", compiled by the distinguished bibliographer Paul W. Nash, is the first fully descriptive record of the Society's publications over its fifty years to date. 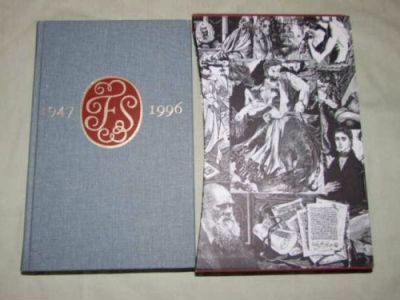 It is sumptuously illustrated and contains a history of the Society, essays on Folio's design and production, and the personal reminiscences of writers, artists and Society members. This is a commemorative volume of outstanding usefulness.